Is Austin the Safest Big City in Texas? “The violent crime rate in FY 2015-16 is up 11% compared to the previous fiscal year. In calendar year 2015, Austin’s violent crime rate was 3.73, 52% below the rate of 7.75 for large US cities. 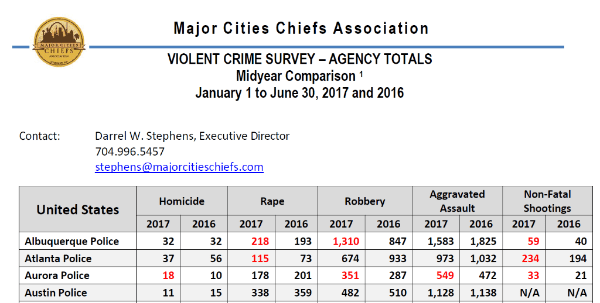 Between FY 2015-16 and FY 2014-15, Austin dropped from 2nd to 4th safest city in the violent crime rate out of the largest US cities (population of 500,000 and greater). And Austin’s Getting Even Safer! 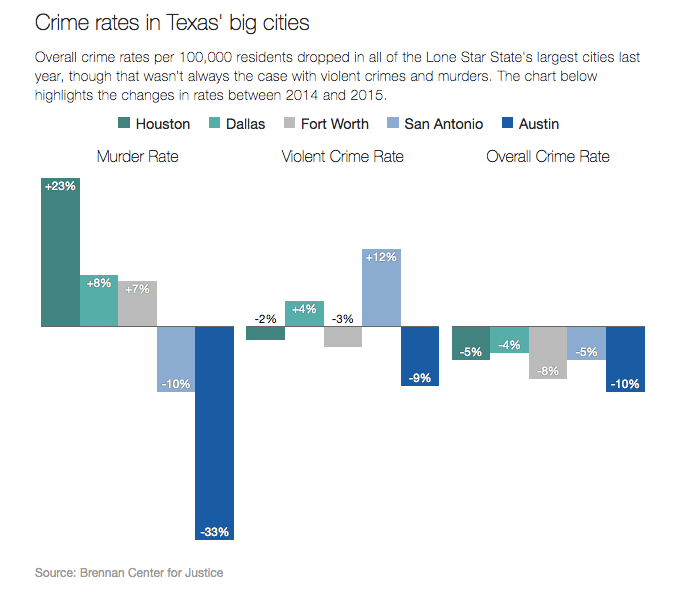 “With an almost 10% drop in its crime rate, Austin saw the sharpest decrease in Texas and the nation. “The city’s murder rate also had the largest decline, falling 33 percent while the average murder rate of all 30 cities in the study grew, the report states. “While unable to pinpoint a cause for Austin’s decrease, Newsom said several city initiatives might be helping. Posted in Uncategorized on September 12, 2017 by Comms.